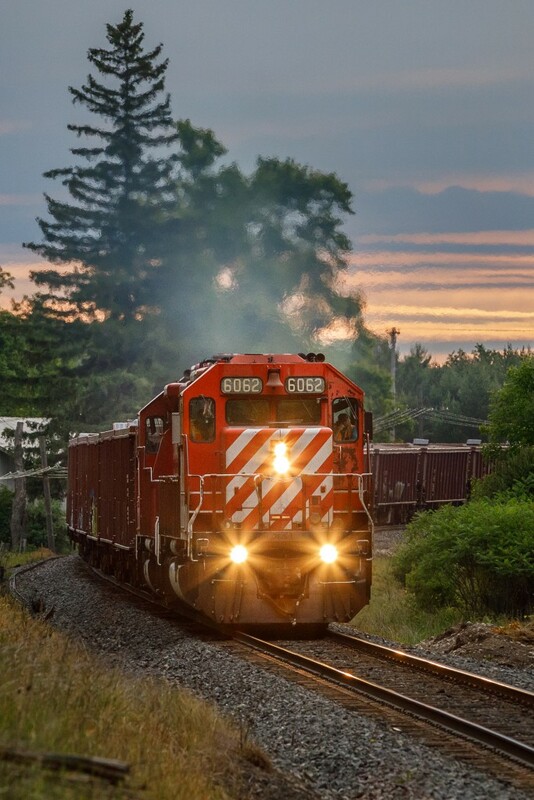 Railpictures.ca - Ryan Gaynor Photo: With an empty ballast train in tow, this 1985-built workhorse races along the mainline pushing every bit of a mile a minute. | Railpictures.ca – Canadian Railway Photography – photographie ferroviaire Canadienne. Caption: With an empty ballast train in tow, this 1985-built workhorse races along the mainline pushing every bit of a mile a minute.